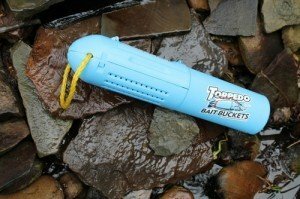 "A few months ago I was given a Torpedo Bait Bucket to review. Let me start out by saying, I generally don’t use live bait. So, I was a little apprehensive about this product. However, I had been contemplating a DIY live well for those near shore trips, which is about the only time I use live bait. I figured this might be just the thing to replace the need for a live well. I like simple. The Torpedo..."
"Sometime around Father’s Day 2015, I eagerly drove to Pack & Paddle in Lafayette, LA to pick up my present. My wife promised me a new fishing reel and I knew exactly what I wanted. I decided I wanted to add a more sensitive/light rod to my line up for soft plastics and I already had it picked out. Little did I know, what I went there to buy was not what I would walk out the door with. 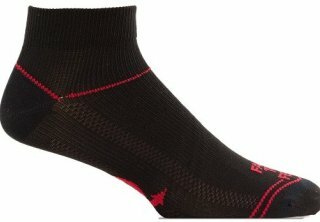 ..."
"A few months ago, I was given two pair of water socks for review purposes. The socks are made by Farm To Feet and are called the Blacksburg Water Socks. They retail for $17 dollars a pair. 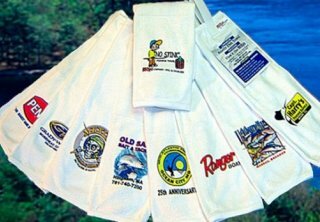 The socks are made to wear with the many different types of water shoes that are on the market today. The website describes the socks as such: “The ultralight, UV-resistant, and unbelievably quick-drying Blacksburg was designed for fishermen, stand-up paddlers, and..."
"Awhile back, I read where someone wrote that the Hobie “Sailing” rudder is the best and most inexpensive upgrade you’ll ever make. 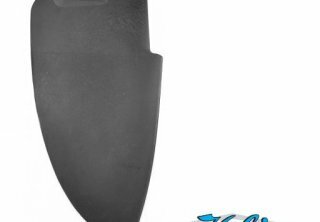 Although there is nothing wrong with the stock rudder that comes with the kayak, I do believe the “Large Twist and Stow” rudder (aka-Sailing rudder) can provide benefits to certain anglers that are invaluable. The stock rudder is small and compact, which is nice. However, the small size causes there to be a slight delay before the..."
"Things tend to get really messy when I fish. Not only is fish slime a cause of this mess but especially marsh mud, which ends up everywhere from the stakeout pole. After a good day of fishing, it looks like a war zone from a mud fight like the ones I had as a kid. Now I am not one to be scared of dirt, after all: “God made dirt and dirt don’t hurt”, but I do appreciate clean hands..."
"Recently I decided it was time for another bed extender. I have known about the T-Bone Bed Extender by BooneDox for awhile now. However, in the past I was hesitant to dish out the $189 for a bed extender that I could purchase for $75 at Harbor Freight. After having used the less expensive bed extender and now after having used the T-Bone, I will say this is an example of the adage: “you get what you pay for.” ..."
It’s that time again, the time when top water action heats up! This past week I went out to Calcasieu Lake (Big Lake) and although it was a little slow, I managed to pull out a few specs and redfish. The nice thing about it was, except for one flounder they were all on topwater. I did attempt to throw other things, but the surface action is what they wanted. After a couple of weeks of some freezing temps and lots of rain, the short spell of sunshine and warmer weather was a relief. I decided to take advantage of the situation and get on the water. The day was forecast to have a very light wind out of the southwest. I chose my spot for the day accordingly. All too often, we hear of kayak anglers losing their rod and reels. Most loathe the thought of having lost “X brand” reel on “Z brand” rod, and reiterate the loss by giving the cost of the setup. To remedy this, many anglers use rod leashes. It's no secret that local kayak fishing clubs are a great way to promote kayak fishing. They provide a "grass roots" platform to kayak anglers for organized events such as tournaments, rigging days, workshops, seminars, and many other things. They also provide a place for newbies to have their questions answered and to cut the learning curve. And let's not forget camaraderie... They are a place where kayak anglers can come together and share experiences. After all, we still are a relatively small community and sometimes it's nice to be able to chat with someone that understands our addiction. In Louisiana, we are lucky to have several strong and excellent kayak fishing clubs. 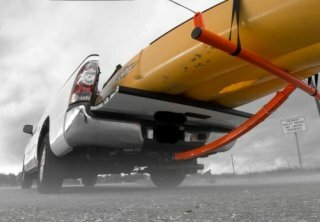 They have done a phenomenal job at promoting kayak fishing. In my local area we did not have this benefit, although other parts of our State did. Seeing a need, I set out on a long journey last year to make this happen. So, if you do not have a local kayak fishing club in your area and have thought about starting one, I would like to share with you my experiences and suggestions on how to make it become a reality. The first thing I wanted to do was to find out who all the local kayak anglers were and to bring them together. I knew many of them but there were many more. Even if you do not think there are others in your area, chances are they are there and probably more than you realize. The question is, how do you find them? This is where you will have to get creative. I set up a community Facebook page with this mission. The community page quickly grew and it served its purpose. However as time went on, the community page grew so much that it became difficult to distinguish those who were seriously interested in starting a kayak fishing club from those that were there for some other reason. 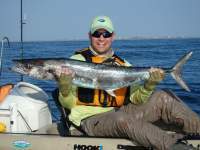 Either way, it promoted the sport and people knew that kayak fishing was growing in our area. The next step was to separate those who were seriously interested in a kayak fishing club from the general public on the community page. So, I began a closed Facebook group page for those who were seriously committed to starting a club. This served as the platform for which I addressed things specifically related to the future club but I continued the community page to promote kayak fishing to the general public. During this time, I was able to make contact with a local kayak shop owner, who agreed to assist in our endeavors and sponsor the future formation of a club. This proved to be an invaluable asset. The shop owner helped in more ways than I can even begin to sum up. Most importantly, he provided a place to hold events and greatly assisted in the promotion of the club to people visiting his shop. It was a good fit. He helped us and it was good business for him. Honestly, the shop owner has such a desire to promote kayaking in the community, I believe he would have helped even if he didn’t receive benefit and I say that wholeheartedly. I realize that not everyone will have a local kayak shop in your area but certainly you may seek other businesses that may benefit from the formation of such a club, like a tackle shop. Even if none of these exists, you will need to find a place to hold meetings and other activities. After we (and I use “we” now) were able to establish a solid and committed group of kayak anglers, we then began to promote and hold group activities. We started by hosting different events such as rigging days, meetings, and group fishing trips. This gave people an idea of what a club was all about and the many possibilities and benefits it could provide. It gave people an idea of what they would be committed to and more importantly it excited kayak anglers about the formation of such a club. During this time, the word about the group spread and it grew tremendously. In these events, friendships were being formed and newbies were coming aboard. Also, it gave everyone an opportunity to see who they would want to take leadership roles in the future. Once we were able to build a strong base of committed kayak anglers through such events, it was time to make the jump to an "official" kayak fishing club. Going from an “unofficial” group to an “official” kayak fishing club was a bit of a headache, more than what I expected. This is a time when several business type meetings were held, which at times can try a person’s patience. It is a time when officers were elected and decisions were made about membership dues, club constitutions & bylaws, applications & waivers, bank account, and of course legal status with both State and Federal government. During this process, we were lucky enough to receive advice from both a lawyer and a CPA free of charge. If you network in your area, you may be able to find someone to offer this to you as well. I would like to break each of these “business” things down and offer suggestions. - Membership Dues: We decided to keep it cheap so that it would be accessible to anyone who wanted to join. A club is fairly inexpensive to run but there are expenses, especially in the beginning. We still have yet to setup a website and forum, but this is an example of one such expense. - Club Constitutions and Bylaws: There are many clubs that have already paved the way, so don’t try to “reinvent the wheel”. Most clubs have this information posted publicly, so you may decide to use other clubs information to know what needs to be included and then write your own. In some cases, there are clubs that would not mind if you use their basic format and just change the name and any other things to fit your club’s needs or situation. I would suggest making contact with their officers before doing this to get approval. I have also seen generic formats that can be located online. - Application and Waivers: This is simple. An application is just a way to gather basic information about the individual or family that will be joining. Waivers are also simple. There are places online that can generate generic waivers for adults and minors of a kayak club. The only thing you will need to do is just put your club name in the blank. - Bank Account: You will need a place to keep your membership dues and any other money received. This was a little more complicated than I expected. In order to setup a business non-profit account, you will need to be established as such. This is beneficial because many banks will offer free account services for non-profit organizations. So before setting up an account, you probably will need to be recognized by the State and Federal Government. - Legal Status for State and Federal Government: I won’t go into detail here because I am not qualified to make statements about what you need to do. I will say that it will need to be done. Again, I suggest you consult a lawyer and CPA to get recommendations on how to proceed. The whole process from idea to reality is lengthy. If you choose to start on this road, don’t get discouraged. It requires perseverance and it requires a firm belief and desire in what you are trying to accomplish. If promoting kayak fishing is your goal, it is an easy sale. Establishing a local kayak fishing club is a noble task, one that may be passed on, shared, and enjoyed by future generations. My biggest word of advice is to make people feel welcome, no matter where they may be in their kayak fishing journey. We can all see the importance of this from YakAngler. There is no doubt that “making people feel welcome” is one of the many attributes that have made this site so successful! Disclaimer: I am by no means an authority on forming a kayak fishing club. This article is not an attempt to offer legal advice. If you have any questions, you should always seek qualified individuals.